Gary Morris White, 73, of Elizabethtown, passed away peacefully surrounded by his family on Friday, October 19, 2018. He was preceded in death by his parents: John C. and Ethel White; two brothers: JC White, Henry White; four sisters: Christine Page, Beulah Kinlaw, Verna Bowman, and Jean White. Morris is survived by his wife: Glenda White of the home; son: Gary White (Crystal) of Bladenboro; daughter: Kristy Bauer (Ryan) of Fond du Lac, Wisconsin; two brothers: Emery White (Shirley) of Elizabethtown, Frank White (Sadie) of Raleigh; sister: Mabel White of Fayetteville; four grandchildren: Caroline Bauer, Zachary Bauer, Clara Bauer, Ava White and many special nieces and nephews. 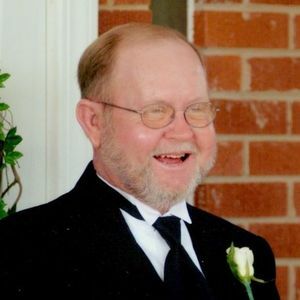 Morris was an outdoorsman who enjoyed animals and hunting. He loved being the center of attention and telling stories to anyone that would listen. Morris was also awarded a certificate of appreciation for his heroic public service in 2000 due to an attempted robbery at the family store at White's Crossroads. A memorial service will be held on Monday, October 22nd at 5pm at Bladen-Gaskins Funeral Home in Elizabethtown with a visitation after the service.